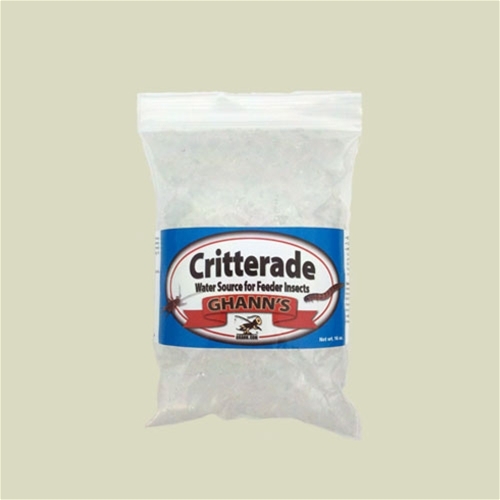 Ghann's Critterade is an easy way to provide moisture for live crickets and other feeder insects. 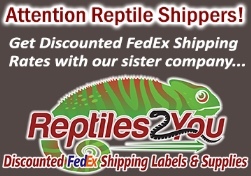 Specially formulated material holds water in convenient gel form that live crickets, mealworms, superworms, and other feeder insects easily ingest. Saves time, eliminates potential water spills and the problem of insects drowning in bowl or dish. Reduces risk of harmful bacteria in stagnant water supply device. Can be offered in a shallow dish or sprinkled on bottom of container. Easy, clean, economical.